Quality preserves with bold, fruity flavours. This is a lovely, flavourful, smooth apple chutney. Great partnered with a mature cheese. 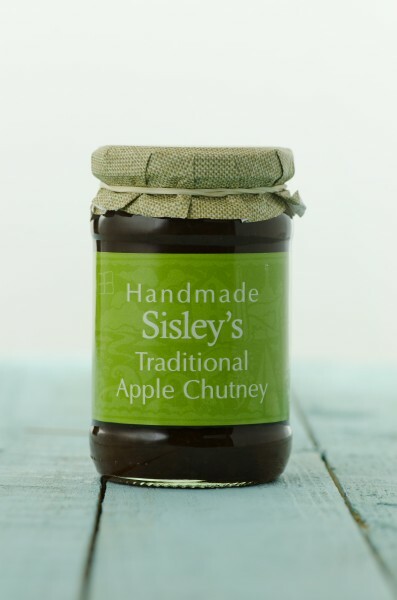 Sisley’s Cornish Preserves was founded in 2003 and still remains a family run business. Ingredients: Apples (57%), Sugar, Malt Vinegar, Pears, Onions, Raisins, Sultanas, Salt, Garlic, Ginger, Fresh Chilli, Cloves.